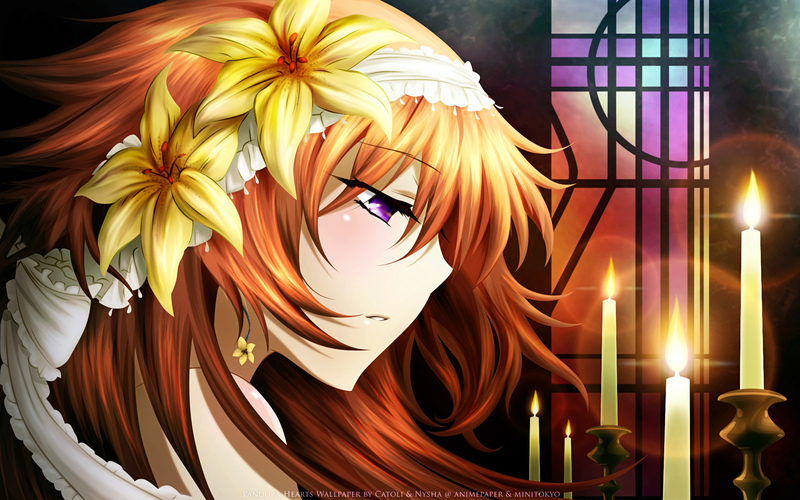 P.S : HAPPY BIRTHDAY NYSHA-CHAN <3 lolz! I think this wallpaper is lovely! I like the hair and the ambient of the scene. The lighting is great too! Vectoring is really great, a couple of jagged edges on the petals. But meh it doesn't ruin how beautiful this is. You have the version of the bg that appears in the image 5? The image is full of details and the vector is stunning. Uhh I don't know what to say! everything perfect from vector to background! i especially love the hair and lighting effects! and the candles <33 omg they look fabulous! It's simple and the best choice for such a detailed vector. I love the texture <3 it looks like marble. I was hoping someone would make a wall from this scan and you two did an excellent job. I absolutely love her hair and the flowers. The candle sticks are great too. I only have a tiny little bit of crit (I feel almost too inferior to give it) is that the window seems a little flat, compared to the other aspects of the wall. It's still pretty though. Great combination of vector/painting... Simply astonishing! ... you should do more collabs... they'll be amazing pieces! love the work you have done, this is a great pic and I love the colors too! It's the first time I've seen this effect... There's a significant feel of dimensionality, even though there are so few outlines present (mostly on the flowers and lace). Thank you for adding the touches to the hair! And the flowers, the lace, the eyes and mouth! Although perhaps it's not the same style, a few more outlines might improve the feel a bit, possibly on the front edge of Alice's face, and with the stained-glass? Wow, the details on the hair, skin and background are absolutely amazingly done! The background is actually very fitting and the light of the candles looks so warm and real. Just awesome job on this, both of you! Very nice! 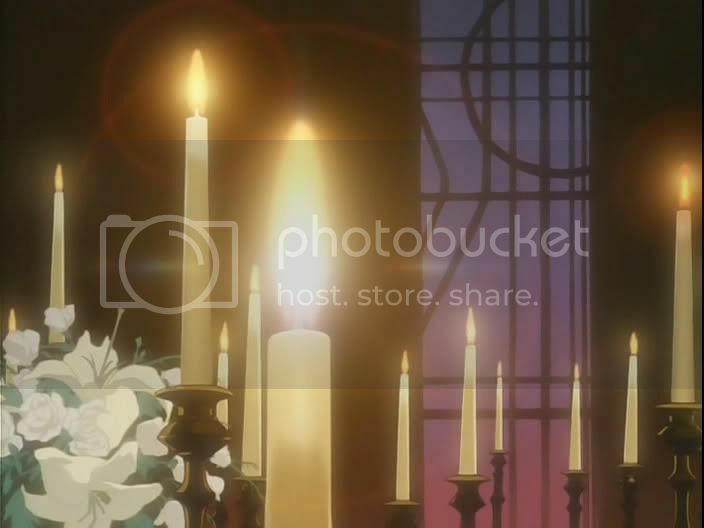 I love the bg, the stained glass and the totally awesome candles look amazing. That vector and painting are fantastic! I love the softness, and I adore the colors and details. Fabulous work.